1. 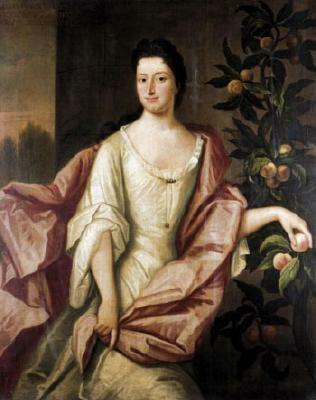 Helen MURRAY, daughter of Sir Patrick 3rd MURRAY 3rd Lord Elibank (bef1661-1687) and Anna BURNET ( - ), was born on 27 February 1683. She married John MACKENZIE on 13 August 1703. 2. 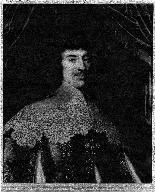 Sir Patrick 3rd MURRAY 3rd Lord Elibank, son of Sir Patrick 2nd MURRAY 2nd Lord Elibank and Lady Elizabeth STEWART, was born before 1661. He had the title 'Master of Elibank, 3rd Lord Elibank'. He married Anna BURNET on 20 August 1674. He died in 1687. 3. Anna BURNET, daughter of Archbishop Alexander BURNET and Elizabeth FLEMING, married Alexander ELPHINSTONE on [Julian] 10 September 1667. Alexander MURRAY (1677-1735). Alexander was born on 9 March 1677. He was a 4th Lord Elibank. He had the title '4th Lord Elibank'. He married Elizabeth STIRLING in February 1698. He died on 6 February 1735. 4. Sir Patrick 2nd MURRAY 2nd Lord Elibank, son of Sir Patrick 1st MURRAY 1st Lord Elibank of Ettrick Forest and Elizabeth DUNDAS of Arniston, was born before 1628. He had the title '2nd Lord Elibank'. He married Elizabeth STEWART on 9 April 1643 in Aberlady. He died on [Julian] 13 February 1661 in Aberlady. 5. Lady Elizabeth STEWART, daughter of Sir John STEWART 1st Earl of Traquair and Catherine CARNEGIE, had the title 'Lady'. She died. 6. Archbishop Alexander BURNET, son of James BURNET and Christian DUNDAS, was born in 1614. He was a Clergyman. He died in 1684. He was buried in St Salvator's Chapel. He married Elizabeth FLEMING. The celebrated Alexander Burnet, Archbishop of St. Andrews and Glasgow was a rigorous Episcopalian who hated dissent of all kinds vehemently, and was of "blameless private life" and "absolutely honest and consistent". He was promoted to the Archbishopric of St. Andrews in 1679. Whilst at Glasgow he was also Chancellor of the University of Glasgow, a post associated with the archbishopric. Burnet's extreme views eventually forced the King to demand his resignation. Burnet was born in Edinburgh in 1615 - his father was also a churchman, but his grandfather, William Burnet, was a notorious border raider nicknamed Hoolet o'Barns (it is ironic that several of his sons were associated with the law, but on the right side of it!). Having graduated Burnet went to work in the household of the 1st Earl of Traquair. Traquair, like Burnet, was an ardent Royalist. There is another connection here: Burnet's daughter Anne was to marry Patrick 3rd Lord Elibank, whose grandfather Patrick 1st Lord Elibank himself married Traquair's daughter Elizabeth Stewart - perhaps the family connection was made at this time? Initially Burnet's episcopalian views were not in favour in Scotland, and he went to work in England, where he was ordained. During the Commonwealth he was ejected and went to live on the continent, where he acted as a courier for Charles II. He returned at the Restoration, and became Rector of Ivychurch in Kent. He also became Chaplain to his father's cousin Andrew Rutherford, Governor of Dunkirk. Burnet also had duties in that city, including being "Dean of the City of Dunkirk". It was not until 1663 (25 years after he left his native land) that he returned to Scotland, where he initially became Bishop of Aberdeen, then Archbishop of Glasgow shortly afterwards. Immediately Burnet became embroiled in the politics of the church, where he took the extreme and rigid stance against dissenters to the national church that he is best known for. Burnet's feeling towards Presbyterians is stated to have been expressed in this sentence :? "The only way to deal with a fanatic was to starve him." Among his earliest acts was to summon James Hamilton of Aitkenhead, in Cathcart parish, before the High Commission Court for failing to attend the church; and under this and a number of other charges, for the most part believed to have been trumped up, Aitkenhead had to pay heavy fines, and suffer several periods of imprisonment. On the 18th December, 1664, John Spreul, the late town-clerk of Glasgow, was, by an Act of the Privy Council, banished the country for his Presbyterianism; while George Porterfield and John Graham, late provosts of the city, were similarly dealt with in 1665. The Town Council, on the 22nd April, 1665, ordered the inhabitants of the city to bring their arms to the magistrates, to be kept in the Tolbooth, and those who failed to obey this disarming Act were to be held as disaffected. In his zeal for the advancement of Episcopacy, Burnet informed the city authorities that he intended to employ the King’s militia to collect certain fines which had been imposed for nonconformity; but the Council thought it better to do so. by their own officials. At length his zeal so outran his prudence, that in a document which he and his synod issued, in September, 1669, he remonstrated against the indulgence granted to Presbyterians, in such a way as to be considered subversive of His Majesty’s authority, and he was set aside in December, Robert Leighton, Bishop of Dunblane, being appointed commendator of the diocese. After the Restoration of Charles II in 1660, bishops and the selection of ministers by patrons rather than by congregations were again imposed. Ministers who would not accept this were ousted and often took large sections of their congregations with them. These would often be forced to meet in the open air in conventicles. Conventicles were being reported in Glasgow in the late 1670s. In October 1678 Archbishop Alexander Burnet was attacked by a conventicle, including "great multitudes of women", which had been meeting in the Saltmarket. In 1679, after the victory of Covenanters at Drumclog, troops entered Glasgow, but were repelled by government forces in the streets around Glasgow Cross. The suppression of Covenanters continued in the early 1680s, during what were known as the "killing times", with various executions in Glasgow in 1684, including five at Glasgow Cross on 19 March. According to some Burnet was eventually assassinated, but this view is not universally held. Certainly, in as much as he was held in great respect and affection by some, he was loathed and detested by others. Burnet's estate was valued at ?1,470 Scots, including two coaches worth ?00, silver plate worth ?23 and books worth ?050. He also left a plot of land to the poor of his archiepiscopal see, which land became known as "Bishop's Rig" or "Bishop Burnet's Acre". Although no surviving portrait of him remains, there is correspondence which refers to him as Longifacies and Long Nez. Alexander Burnet (1615-1684) was a 17th century Scottish prelate. Born in the summer of 1615 to James Burnet and Christian née Dundas, he gained an MA from the University of Edinburgh in 1633. He chose to follow the career of his father, who had been minister of Lauder, by becoming a churchman himself. He entered the service his mother's kinsman the Earl of Traquair, becoming the personal chaplain of John Stewart, 1st Earl of Traquair. This was the springboard for a high level ecclesiastical career. He was presented to Coldingham in 1639 by King Charles I of Scotland, but could not retain this position because of the National Covenant. Burnet went to exile in England, where he became a strong Royalist, something which forced him to flee to continental Europe. He returned to Great Britain after the Restoration of the monarchy, becoming rector of a parish church in Kent (Ivychurch) and chaplain to Andrew Rutherford, governor of Dunkirk. The Restoration of the monarchy was followed by the restoration of Episcopacy in Scotland. Burnet became Bishop of Aberdeen in 1663. He held this position for less than a year, receiving promotion as the successor of Andrew Fairfoul to the Archbishopric of Glasgow. As Archbishop, he took a hard line on ecclesiastical non-conformity, and led the attempts to repress the Pentland Rising of 1666. His continued hard-line attitude, even after reconciliation became general policy, and his enmity against the Earl of Lauderdale, made him a controversial figure. He became too much of a liability for the king, who pressured him to resign as Archbishop. This he did on December 24, 1669. Burnet went into England again. His high ecclesiastical career was revived in 1679, becoming Archbishop of St Andrews. He held this position until his death by illness on August 22, 1684. He was buried in St Salvator's Chapel. 7. Elizabeth FLEMING was the daughter of George FLEMING of Kilconquhar, Fife. Margaret (Mary?) BURNET ( - ). Margaret married Roderick MACKENZIE on [Julian] 28 April 1674.